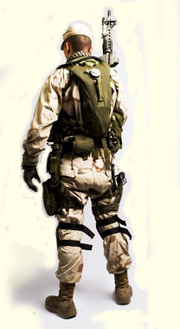 One of the biggest applications of our webbing products is for military use. Mil spec webbing is available in 3 different materials. All of the military webbing we produce is Berry Amendment Compliant, and adheres to the highest standards in terms of durability and strength. This is because we test all of our mil spec webbing in order to ensure high quality performance. Our mil-spec webbing is the most resilient webbing product we offer due to the inherently demanding nature of military work and equipment. We guarantee all of our mil spec webbing products for their flawless performance and functionality in extreme conditions. Please contact us with any inquiries or customer orders, we’d love to accommodate you in finding the exact webbing product you need.